One of the stupidest controversies of 2018 was in the build up to First Man. From whether or not it was strictly an American achievement to planting the flag on the moon … yeah. Everything building to the film’s release was about as dumb as 2018 possibly could be… which is saying something. The weird thing is that it might be the best film about the moon landing ever made and gives us a unique insight into Neil Armstrong and his crew’s flight into what then been the impossible task of impossible tasks. First Man follows Neil throughout the process. The way to view the film is about depth of challenge; Armstrong going from being given this extraordinary challenge to the harrowing journey to the moon and back. Chazelle boils this massive undertaking down to one man; we see everything through Armstrong’s perspective, including the claustrophobic nature of the initial capsule he was in. It’s a fascinating biographical piece that works because of it. Chazelle makes us feel every moment, every failure on the ground, with some terrific cinematography choices. 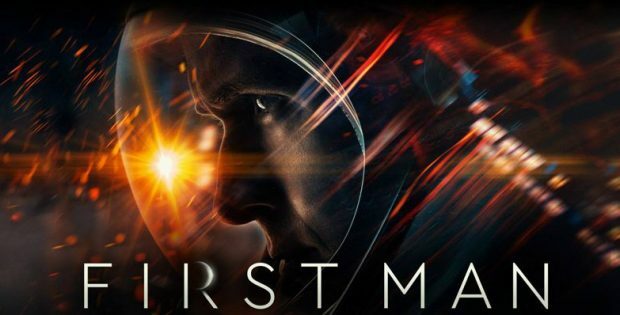 First Man was missed by a lot of people because of stupid controversies and it’s a shame; it’s a brilliant film about doing the impossible. There are a number of extras that go through the history involved as well as the recreations of everything. It’s fairly remarkable and in depth.